American Express has increased the welcome bonuses on it’s Delta co-branded cards once again. Many of these offers are at or near the historical highs for the cards. The increased bonuses are public and we’re seeing them on 4 of the 6 Delta cards. These are limited time offers that expire September 19, 2018. 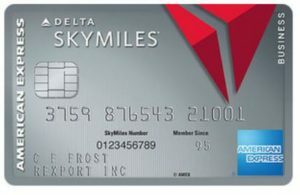 The offers for the Delta cards are usually increased 2-3 times per year. If you were waiting for them to return then now is your chance. They sometimes come with a statement credit as well but that does not appear to be a part of the offer this time around. If the timing is not right for you at the moment they will likely return again sometime in the future. But if you are in need of some Delta Skymiles these offers are close to as good as it gets! Any offers on the Delta Reserve? I don’t think the Reserve was a part of the limited time offers. 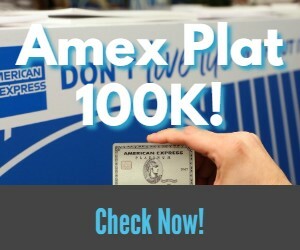 Looks like it is 40K miles and 10K MQM’s on Amex’s site. I got approved for the Delta Business Plat the last day of the offer for 35,000 miles and 5,000 MqM’s for a $2,000 spend in 3 months. Haven’t got the card yet. Can I call them and tell them I want the offer for 70k miles and 10k MQM’s for a 3k spend instead? Amex is one of the worst out there for matching offers but I would give them a call and see if they will match it. I fear that if you cancel and reapply they may deny the bonus saying you have had the card before.